Police guard the unidentified plane wreckage. PLANE wreckage which could be that of MH370, the missing Malaysian Airlines plane, has washed up on the Indian Ocean island of Reunion. Debris that washed up on the island could be the remnants of a destroyed Boeing 777, the same model of plane that went missing in March last year. 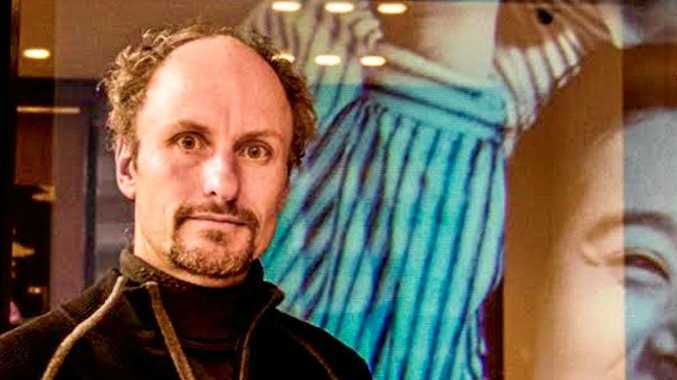 Writing on a blog, French aviation security expert and former pilot Xavier Tytelman, said the images showed an "incredible" similarity between the appearance of the wreckage and the wing of a Boeing 777. Comparing Boeing plane schematics and the images from the scene, Tytelman said there is a small possibility that the wreckage found could be the remnants of MH370. 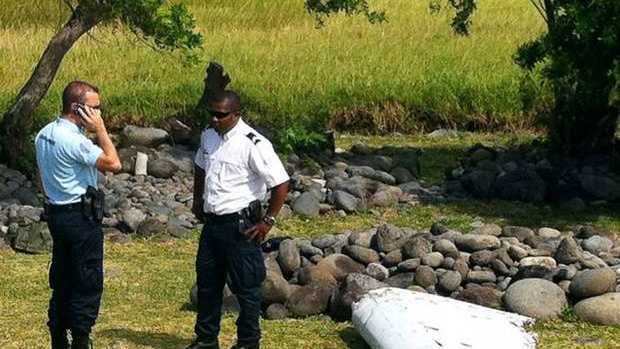 Police carry the debris from the unidentified aircraft from the area where it was discovered He said that a number is visible on the wreckage, and comparing it with the records of the lost plane will be able to give a definitive answer as to whether the debris truly does come from MH370. He added that the piece of debris, which resembles part of a wing, seems relatively intact, and reported that police on the scene believed it could have been underwater for about a year. There is by no means any solid proof that this wreckage is that of MH370, and a definitive verdict of the origin of the debris should be found soon. Certainly, La Reunion is far away from the suspected crash site of MH370, which is in the ocean to the west of Australia. The island is still in the Indian ocean, but is around 2,800 miles from where investigators have been searching for the damaged craft. However, according to Tytelman, it is not unfeasible that this piece of debris could have been moved by the current across the ocean over the course of the year. Malaysia Airlines Flight 370 disappeared on 8 March 2014, with 239 people on board. It vanished from radar screens shortly after taking off, forcing the international team currently searching for the wreckage to use broad estimates of its location in their search. The search zones currently cover hundreds of thousands of square miles of ocean. No radar 'pings' from the wreckage that would give away its location have been detected, and Malaysia has officially declared the crash an accident, and has assumed all those on board are now dead.